HÀ NỘI — The use of pesticides in agricultural production should be properly considered and applied, said Jason Sandahi, an expert from the US Department of Agriculture, at a seminar in Hà Nội on Tuesday. The seminar, titled “Driving Việt Nam Agricultural Exports and Food Safety: the Role of Crop Protection,” was organised by the Ministry of Agriculture and Rural Development (MARD) and Crop Life Asia. 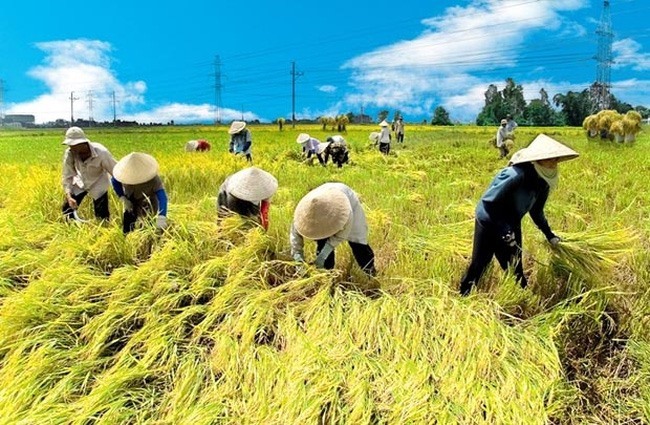 Sandahi said harmonisation of standards will be applied to all economies in the future, and suggested Vietnamese farmers should be given tools to promote agricultural production and export. International experts and Vietnamese agricultural managers were updated on technical requirements and trade standards for products in major markets such as Europe, the Americas and Asia. Jeroen Pasman, export sales manager from Cần Thơ Province–based the Fruit Republic Co, which specialises in exporting fruits and vegetables to Europe and the US, said the biggest challenge is how Vietnamese farmers use pesticides to ensure export standards. According to Pasman, the Fruit Republic Co has signed contracts with small farms and households and guided them on how to use pesticides and manage residue and dosages to ensure their products meet import standards. Việt Nam has signed free trade agreements and tried to encourage the exchange of goods; however, the fact remains that the country’s bananas are still not exported to the Philippines, its coconuts do not go to China and many of its products do not reach Japan because they do not meet these markets’ technical standards. Nguyễn Xuân Hồng, director of the Plant Protection Department for MARD, said Vietnamese agricultural export products must meet two important technical requirements: food safety and animal-and-plant quarantine. "Vietnamese producers must understand the rules of countries importing agricultural products and their consumers," Hồng said. “It is necessary to strengthen the production chain among enterprises, co-operatives and State management agencies." Siang Hee Tan, managing director of Crop Life Asia, said the issue is how to continue promoting Việt Nam’s competitive advantage because of its great potential for exports. Vương Trường Giang, chief of the Plant Protection Department’s Food Safety and Environment Office, said the department has received warnings from importing countries that some products had exceeded pesticide residue limits. In 2017, there were 90 cases in which European countries returned agricultural products to Việt Nam.